It’s one of Jupiter’s four largest moons, named the Jovians by the famed astronomer – Galileo Galilee – who first discovered them. And from all outward appearances, the moon is an icy, inhospitable place, with surface temperatures never reaching above -160º C (-256º F). Yet, beneath that frozen outer shell is believed to be a liquid, saltwater ocean, one that draws warmth from its orbit around Jupiter. If this should indeed be the case, then Europa would be about the best candidate for extraterrestrial life in the Solar System, albeit in microbial form. For decades now, NASA has been working under that assumption and preparing for the day that it might be able to send an expedition or probe to confirm it. And it now seems that that day may be on the horizon. According to NASA, this would likely take the form of a robot lander. Much like Curiosity, Opportunity, and other robotic research vehicles, it would packed with a variety of sensors and analytical equipment. But of course, the nature of that equipment would be specifically tailored to answer a series of unknowns pertaining to Europa itself. Overall, the lander would have three priorities: discover the makeup of minerals and organic matter present on the moon; examine the geophysics of the ice and the ocean underneath; and determine how the geology looks (and therefore how it might have evolved) at a human scale on the surface. Basically, it would all boil down to looking at chemistry, water and energy – in other words, the conditions necessary for life. And though NASA has not announced any official dates, it has begun to speak of the idea an indication of intent. 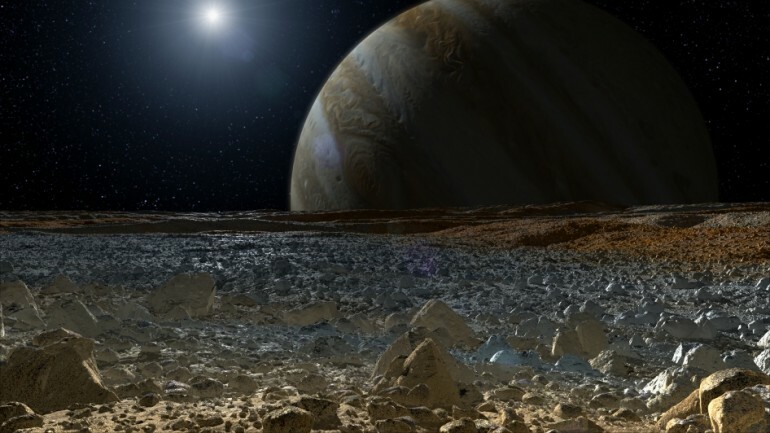 A new article by NASA scientists published in the peer-reviewed journal Astrobiology entitled Science Potential from a Europa Lander set out their research goals in more detail, and speculated how they might be practically achieved. 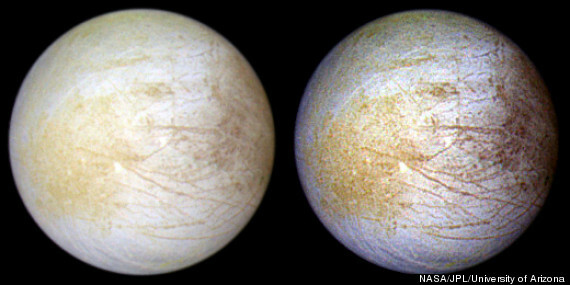 One area of focus would be Europa’s distinctive linear surface cracks which are believed to be the result of tidal forces. Europa’s eccentric orbit about Jupiter causes very high tides when the moon passes closest to the gas giant, so it is thought that this process would generate the heat necessary for simple life to survive. NASA thinks the cracks could contain biological makers, molecules indicating the presence of organic life, which have come from the ocean. But of course, plotting a mission is not as simple as simply launching a robot into space. 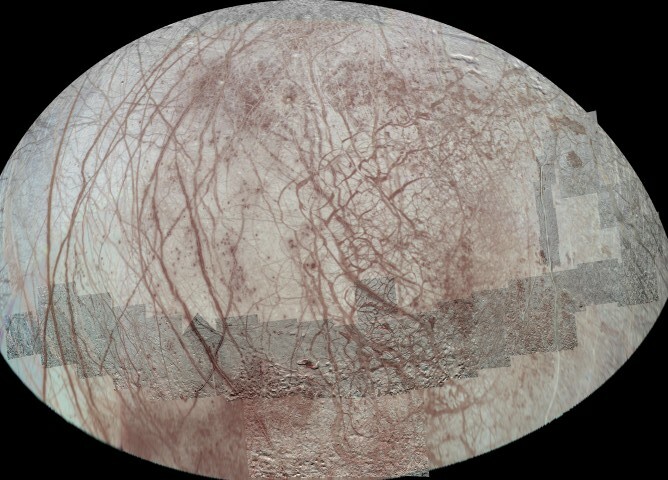 To ensure that such a mission would maximize returns requires that a “scientifically optimized” landing site be identified, and to do that, Europa’s surface must be thoroughly surveilled. Thus far, the little we know and think about Europa is based on a handful of flybys by Voyager 2 in the 70s and the Galileo probe in the 90s. There is still a lot of preparation that is needed before we could land on Europa, but studies like these will help us focus on the technologies required to get us there, and on the data needed to help us scout out possible landing locations. 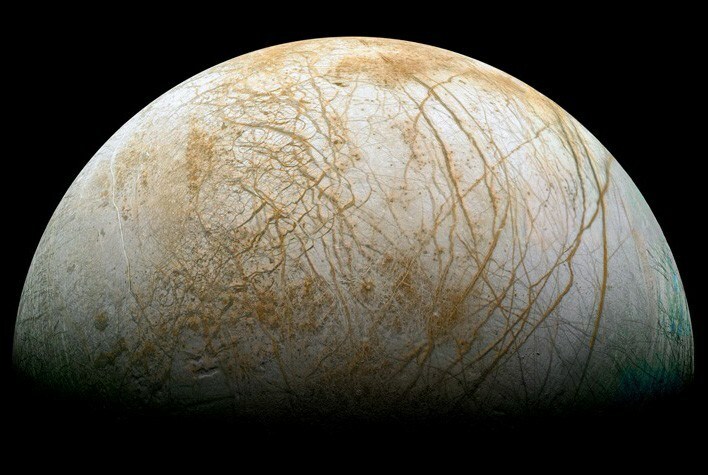 Europa is the most likely place in our solar system beyond Earth to have life today, and a landed mission would be the best way to search for signs of life. At the present time, NASA’s exploratory itinerary is quite packed. In addition to wanting to tow an asteroid closer to Earth to study it, launching two more rovers to Mars, constructing a settlement on the far side of the Moon, and conducting a manned mission to Mars, it’s safe to say that a robot lander on Europa won’t be happening for some time. But of course, the plans are in place and moving forward with every passing year. NASA is certainly not going to pass up a chance to examine one of the Solar Systems best candidates for extra-terrestrial life, and we can certainly expect more deep-space probes to be launched once Cassini is finished shooting pictures of Saturn. 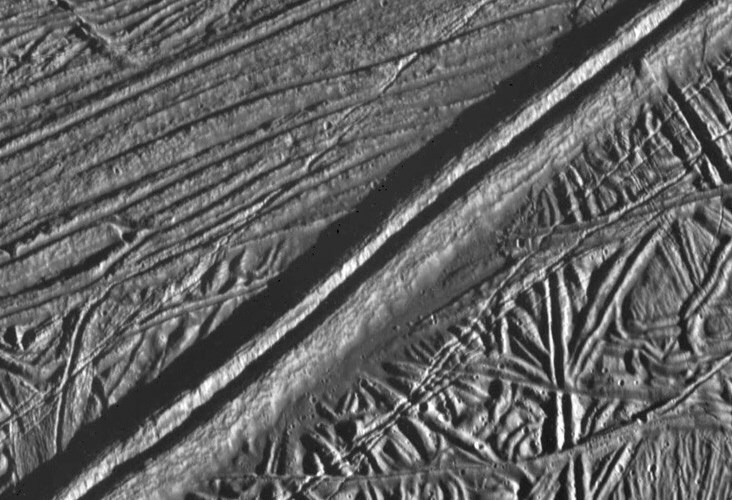 I am willing to bet good money that any future probe sent into the outer reaches of the Solar System will be tasked with taking high-resolution photos of Europa as part of its mission. And from that, we can certainly expect NASA, the ESA, and even the Chinese, Russians and Indians to start talking turkey within our lifetimes. What do you think? 2035 seem like a safe bet for a Europa lander mission? Me too! Hoping to see that Monolith! Why not? Until then, we can see the movie Europa Report. Haven’t heard of that one. Is it new or old? It’s new, coming out pretty soon I think. Look up the trailer. It’ll make for a great addition to Movie Trailer Mondays. Forget that, I’m putting it up today! I cannot wait to see the post, and you’re very welcome.